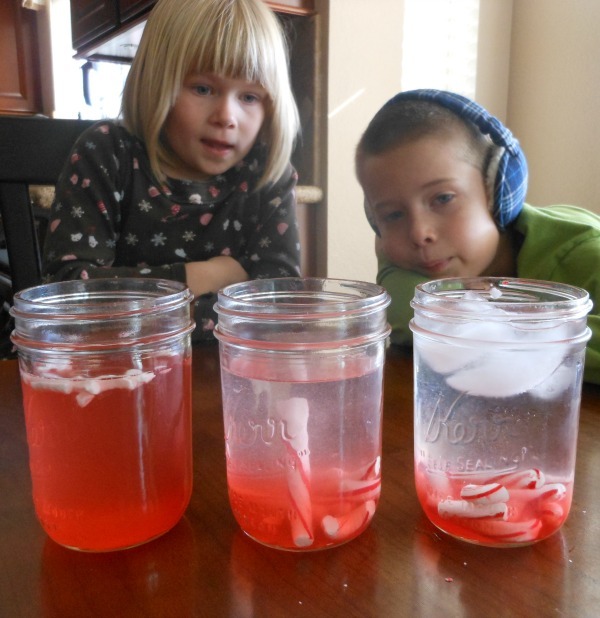 What happens when I tell my kids that we are going to do a Christmas science experiment? They start out by listening to my idea. They usually nod and tell me what a great idea it is. Then they take my entire plan and toss it out the window… of course. 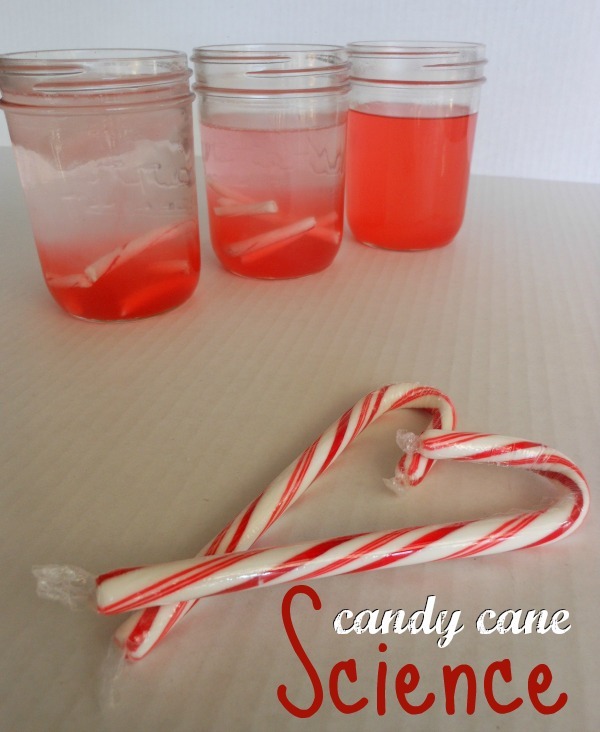 I bought candy canes with the intention of melting them in the oven, sounds fun right?!?! These candy canes didn’t make it that far and boy am I glad. M and M’s Christmas science experiment was way cooler (and easier) than mine would have been. We like cool and we like easy. So there you have it win – win. Big M filled one cup with water and added ice. Little M filled one cup with room temperature water. I filled one cup with boiling water. Ask questions about the similarities and differences in the cups. Leave the cups out for an hour to see what happens. How could you modify this experiment? Ask your kids… I bet they have a great idea! This post originally appeared December 10, 2013. 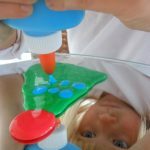 Love your experiment – Christmas science at its best! We like easy too – and we just bought a box of candy canes! Thanks for the fun idea!